When you're ready to apply, choose the correct application below. If you’re not sure which to use, please contact the Office of Admission, admissions@purdue.edu, 765-494-1776. As of 5 p.m. Eastern Time on 1/11/19, Purdue is no longer accepting freshman applications for the Main – West Lafayette campus. Applicants to Purdue Polytechnic Statewide locations may continue to apply using the Common Application or the Coalition Application. See more information about specific application deadlines. Apply with Common Application or Coalition Application. Do not use both. You are in this population if you are a current high school student or earned 11 or fewer semester credit hours at another college after high school graduation. Use one of these applications if you’re applying to be degree-seeking at Purdue’s West Lafayette Campus or a Purdue Polytechnic Regional location. If you don't have access to ALL of your completed high school coursework through an online portal, request a copy of your transcript from your school counseling office before completing the courses and grades section of your application. You are in this population if you are taking or have completed 12 or more semester credit hours at another college after high school graduation. Use the Coalition Application if you’re applying to be degree-seeking at Purdue’s West Lafayette Campus or a Purdue Polytechnic Regional location. Purdue’s Veterans Success Center (VSC) provides an array of resources and support for veteran students and those still serving in the military, as well as their dependents. In addition to providing a physical space in the Purdue Memorial Union where students can gather, the VSC serves as an on-ramp to navigating and accessing military-related education benefits. Purdue Online Learning at Purdue provides continuing education, professional development and workforce training, mostly through online programs. For more information, visit the Purdue Online Learning website. International citizens in the United States on F-2 visas must visit the Office of International Students and Scholars before applying as Purdue Online Learning students. Failure to do so may result in revocation of your visa and possible deportation. Students at high schools that participate in Purdue's dual-credit program have the opportunity to take select Purdue courses at their school — earning both high school and Purdue credit. As a dual-credit student, you will submit our non-degree application. For more information, visit the Purdue Dual Credit webpage. For 50000- or 60000-level classes, you should apply through the Purdue Graduate School. International citizens in the United States on F-2 visas must visit the Office of International Students and Scholars before applying as non-degree students. Failure to do so may result in revocation of your visa and possible deportation. If you have recently been denied admission to Purdue, you cannot be admitted as a non-degree student. If you need more information before applying, visit the non-degree student webpage. The Second Degree Accelerated Baccalaureate Program in Nursing is for students who hold a bachelor’s degree in another field and want to pursue a BS in Nursing degree. For more information, visit the Nursing Second Degree website. Pathway to Purdue Agriculture is a partnership between the Purdue College of Agriculture and Ivy Tech Community College-Lafayette through which students are enrolled at both institutions with the goal of earning a bachelor's degree in agriculture from Purdue. If you're just beginning in this program, you'll complete Purdue's non-degree application. If you're a current Pathway student who is ready to transfer to Purdue, you should apply as a transfer student, rather than non-degree. Learn more about Pathway to Purdue Agriculture. 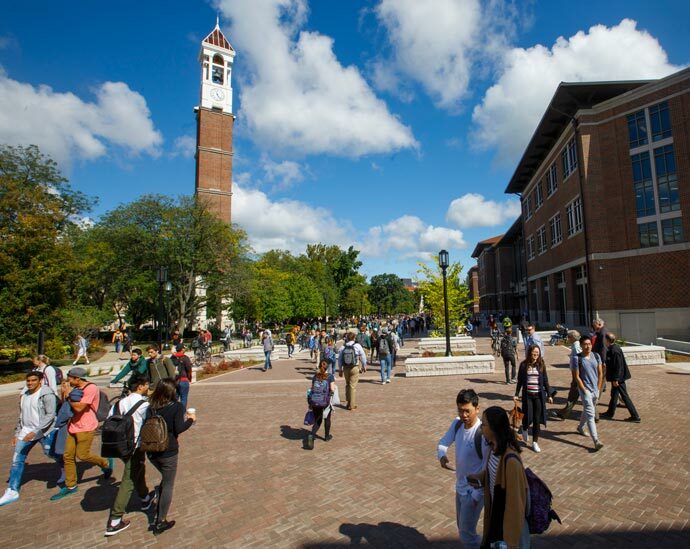 International citizens in the United States on F-2 visas must visit the Office of International Students and Scholars before applying as Pathway to Purdue Agriculture students. Failure to do so may result in revocation of your visa and possible deportation. You're a readmission student if you were dropped from the University for academic reasons. Before you apply, there are several steps you must complete, including re-establishing a strong academic record at a community college. For more information, review our readmission student webpage. Before applying, be sure to check readmission application deadlines. Not all majors are listed on the readmission application. If the major you want to return to is not listed in the Program of Study Options section of the application, choose the major closest to your desired major and use the Personal Information section to explain why you selected it. If you are selecting a major other than the one you were enrolled in previously, to be admitted you will need to meet the Change of Degree Objective (CODO) requirements for the new major. In addition, readmission into any major is at the discretion of the academic department. Learn more about returning to Purdue as a re-entry student. Experience the excitement of college life, take courses with world-renowned faculty, explore academic majors, and put yourself on a pathway for success! Taking online or on-campus courses during summer allows high school students age 16 and older to experience college life by completing coursework alongside current undergraduate students. Students have access to more than 500 courses across academic disciplines during Summer Session so there's no better time to get a jumpstart on your college experience! Learn more about Summer College for High School students. Veterinary Nursing is an academic program for those who want to pursue nursing careers within the animal health field. Purdue offers its associate's degree (Veterinary Nurse) as a distance-learning program. Information about the program and admission requirements is available on the Veterinary Nursing Distance Learning website.